Director Derek Cianfrance proves something with his newest film: he is great at making you feel terrible. His previous movie, Blue Valentine, an instant cult classic starring Ryan Gosling and Michelle Williams, is about the slow demise of a relationship. The viewer is thrust deep into the emotional turmoil of two people falling out of love, leaving us with not a lot of hope for the future. The Place Beyond the Pines, again featuring Gosling, is similarly sad — as we watch fathers trying to be good dads when the circumstances of the world prevent them from achieving their goal — but it ends with a hint of hope, just enough to make someone think there are better options. The movie opens on a tattooed Luke (Ryan Gosling) as he walks through the fairgrounds to his motorcycle. He is a stunt driver and his specialty is the steel ball of death, a circular cage where Luke and two other men ride their motorcycles at once. A previous one-night stand, Romina (Eva Mendes), approaches him after the show, and over the course of a couple conversations Luke discovers he is a father. He quits the circus, deciding to stay in town to be a good father. But based on his skill set, he isn’t able to get a different job, leading him to start robbing banks with his new roommate Robin (Ben Mendelsohn). We are then introduced to Avery (Bradley Cooper in one of his non-Hangover roles), a rookie cop trying to make a difference at the street level. His father, a powerful judge, had higher hopes for his son than working his way up through the ranks of the police department. Avery also has a son, and when he is led into the world of police corruption, there’s an inner moral struggle. He tries to find the right course of action, if only to set an example for his growing child. 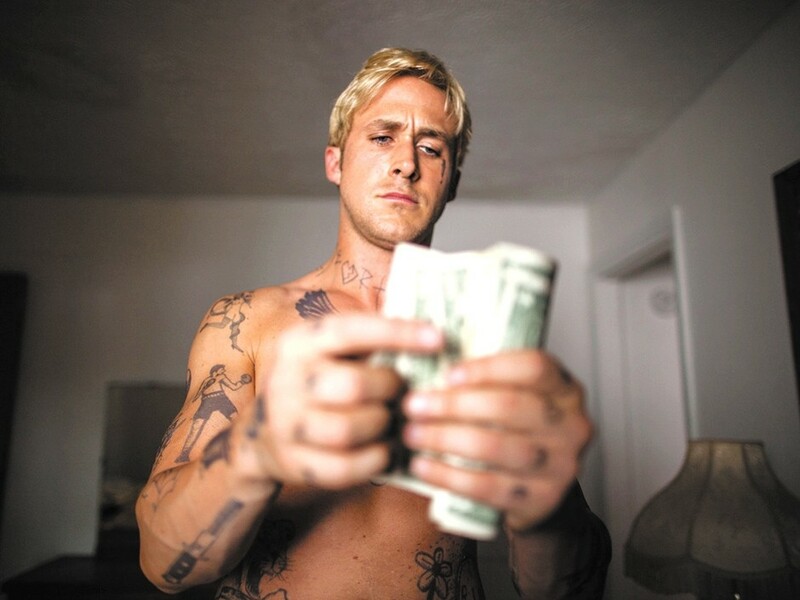 The Place Beyond the Pines is slowly paced, but that’s not to say it is boring. Just like Drive had you on the edge of your seat, this film will keep your heart pumping. The raw emotion the actors are able to harness is nothing short of incredible. Under Cianfrance’s direction, each actor is able to completely inhabit his or her character. The grainy cinematography pulls the audience further into the culture in which these characters are stuck. With enough intuition and the right talent, a filmmaker can make you understand the tolls of a hard life, and with a sensitive hand, make the empathetic journey well worth the ride. The Place Beyond the Pines is not showing in any theaters in the area.